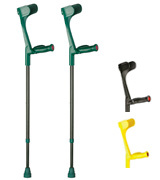 The ferrules of these crutches are made of natural and durable rubber with a metal inlay. They provide the maximum adhesion and ultimate stability. The handles may get sticky if you use the crutches for too long. The thoughtful design with comfortable ergonomic parts makes the Ossenberg crutches an excellent option for users who need the most supportive aid for a long period of rehabilitation. The Invacare Magic Twin crutches are extremely safe. Special light-reflecting inserts on their handles will make you visible even in the dark. The crutches have too wide arm grips. Thin people may find them a bit uncomfortable. 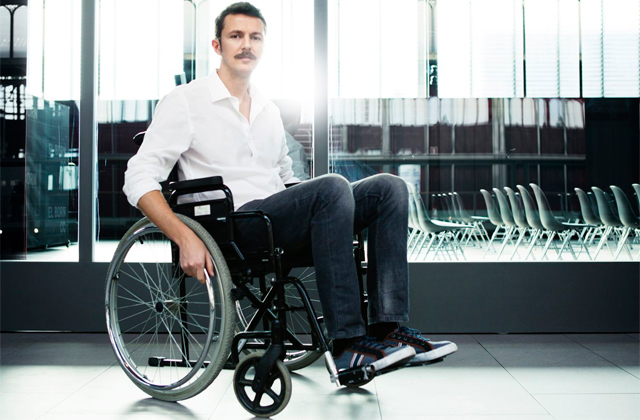 The Invacare crutches will provide the great support to people during rehabilitation. In addition, they have an adjustable design so that you can comfortably use them and store. The handles boast not only convenient ergonomic shape but also a special design that distributes your weight evenly. Thus, the crutches are very comfortable and supportive. These medical crutches are not suitable for very tall people. NRS Healthcare did its best to create the most usable crutches that can help people recover from an injury while providing them with the maximum freedom of movement. 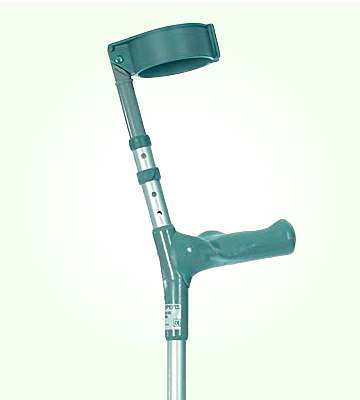 The crutches are made of epoxy-coated anodised aluminium. Thanks to that, they are pretty lightweight. In addition, they boast excellent resistance to various damages. If used for too long, the handles might get somewhat hot. 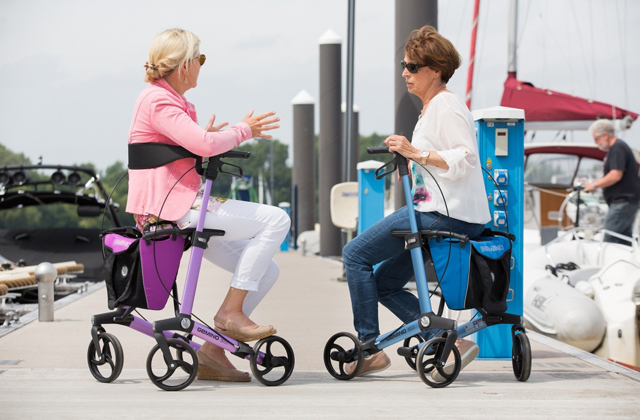 The HMS Vilgo Modern crutches are bright and stylish. 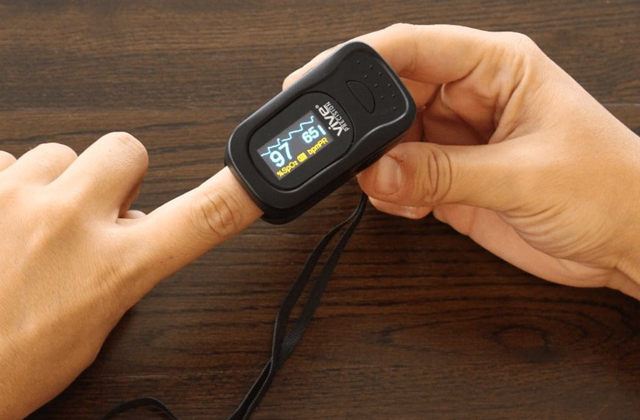 Also, they are easily customizable, thus, they can provide good support to users of any height and weight. Double extruded centre tubes provide extra support to bear your weight, enabling you to feel extremely stable while moving. 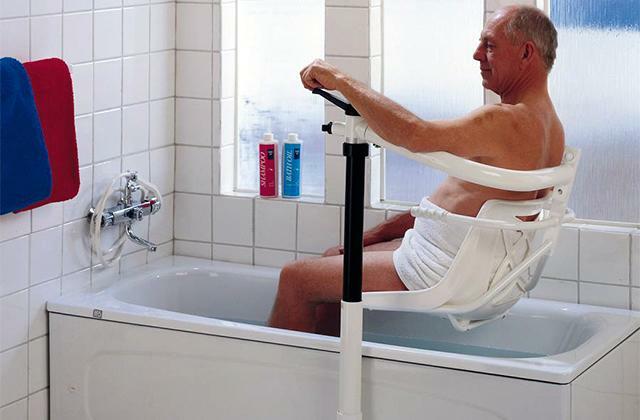 Excellent for users with various problems of the lower limbs. The crutches adjustment system can be a little confusing. Being made of durable aluminium and equipped with soft pads, the Ability Superstore crutches will provide the most reliable and at the same time comfortable support for people during recovery. 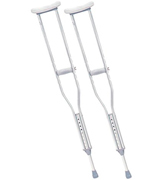 These crutches from the Ossenberg company will help you quickly recover from an injury. 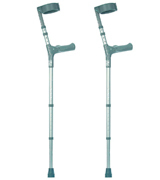 This is a classic pair of forearm crutches that is suitable for long-term use. They are pretty comfortable, so you will not experience any inconvenience while walking on them. Providing high mobility, the crutches enable you to move almost as you are absolutely healthy. No pain in the wrists and underarm area! The crutches are offered in a wide variety of colours to choose from. If you need a walking aid for your kid, the bright crutches will make your child`s recovery a little more cheerful. German products are praised for their highest quality all around the world, and this pair of medical crutches is not an exception. Talking about the usability of this model, first of all, we would like to mention the strong non-twisting forearm cuffs. They ensure extra support, do not hinder your movements nor cause discomfort in your underarm and wrist areas. In addition, the crutches feature 10 different height settings, so they are suitable for almost everybody. Also, there are anti-rattle screws at the ends to make your movement ultimately comfortable and quiet. The handles are equipped with incorporated light-reflectors. Owing to them, people will see you even when you are walking at night. 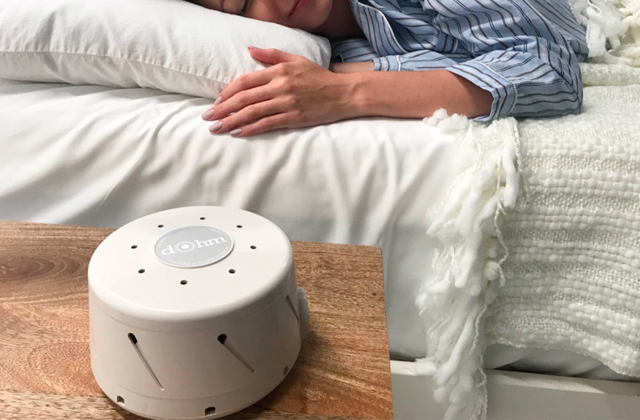 It is a very thoughtful solution, especially if you are living in a poorly-lighted area. 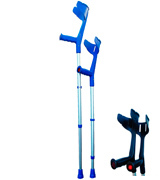 This pair of crutches is available in three colours (blue, red, and black) so that you can choose the option you like best. If you are looking for a good medical walking aid but at the same time you don't want to spend a fortune on it, then you certainly should consider this pair of crutches. 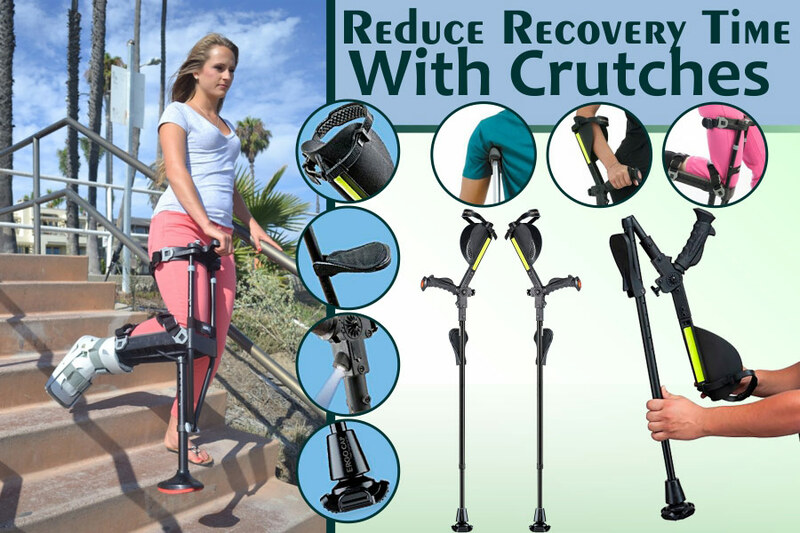 Buying the NRS Healthcare crutches, you will get reliable assistants for your quick recovery. These adjustable crutches will be a great choice for people who are over 170 cm high, as their handle can be adjusted anywhere in the range from 69 cm to 94 cm. 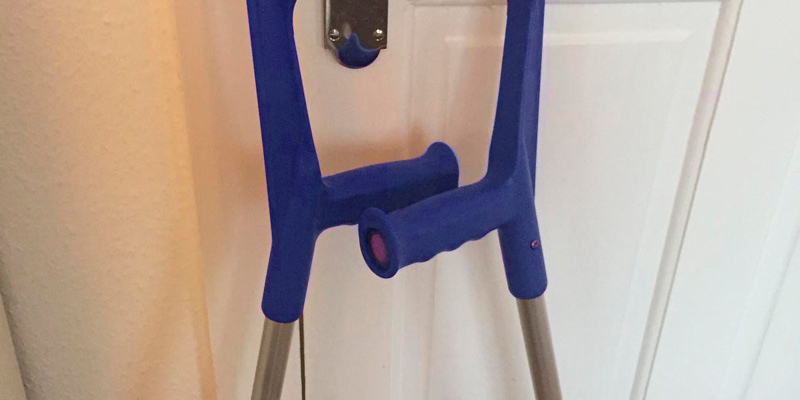 Anyway, the manufacturer also offers a medium version of the crutches which will fit users under 170 cm (you can change the handle height from 58 cm to 84 cm). 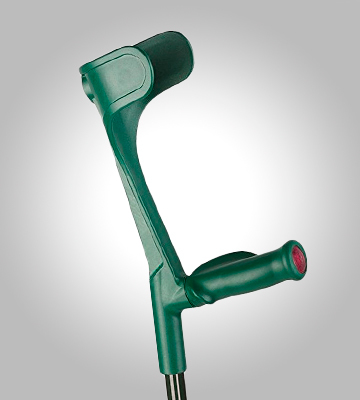 The handle distributes pressure evenly and makes your movement easier and more comfortable. 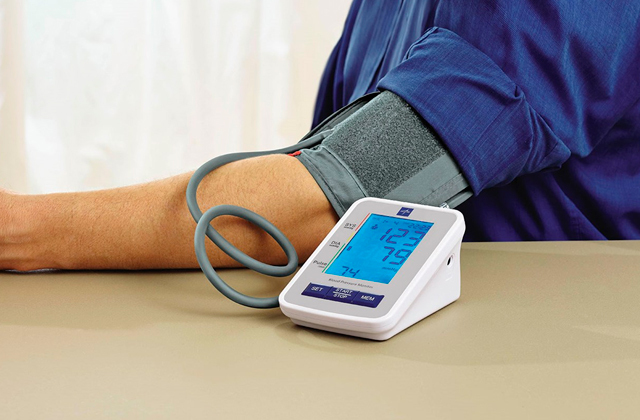 This model also features an adjustable cuff for greater usability. 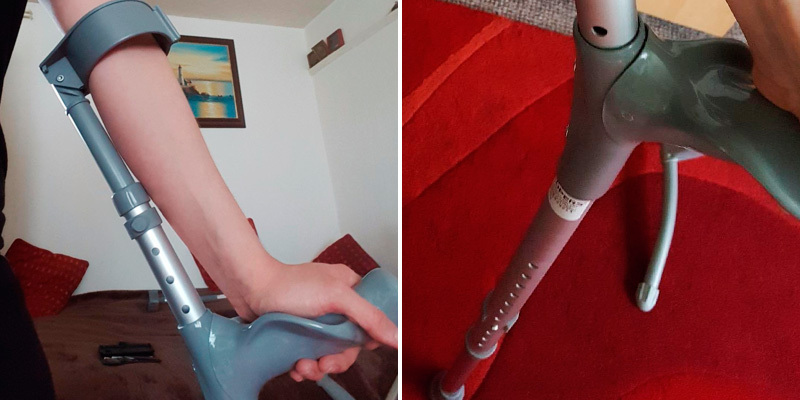 As the manufacturer claims, people who are suffering from arthritis or those who have grip problems will definitely appreciate these crutches. Of course, the crutches are also helpful for other small injuries like fractured or sprained limbs. The leading French healthcare company HMS Vilgo offers modern, bright and, at the same time, durable and reliable crutches. 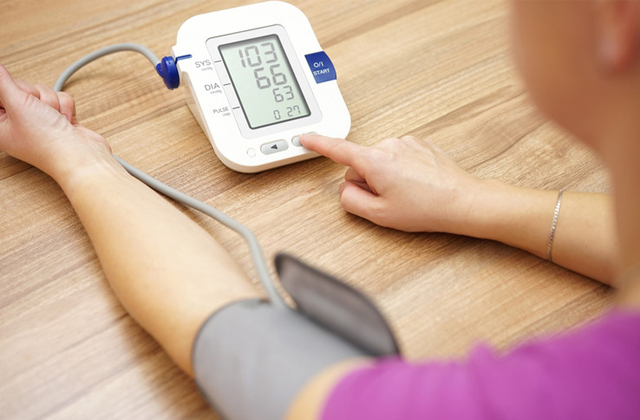 The only one company which imports this product into the UK is famous Glebe Healthcare & Mobility. 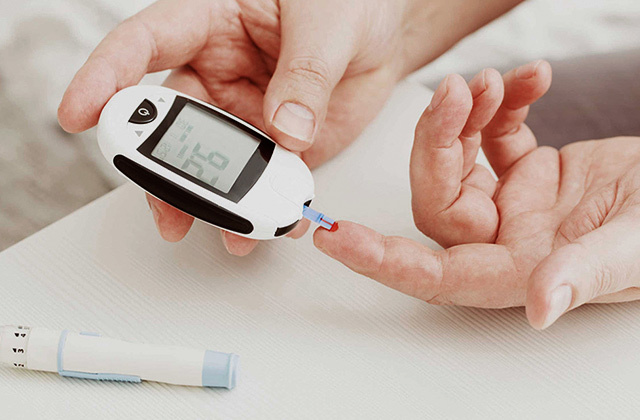 Thanks to that, you can be absolutely confident that you will get the original medical walking aid, not a copycat. 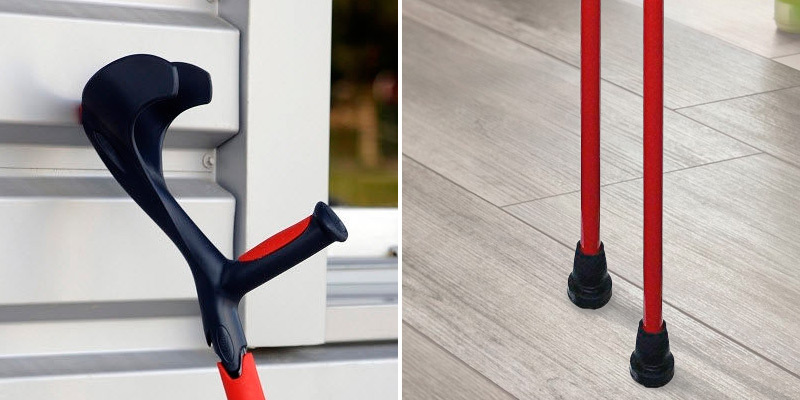 Talking about the attractive design of these non-slip crutches, first of all, we would like to point out the soft-grip handle with the curved underside. 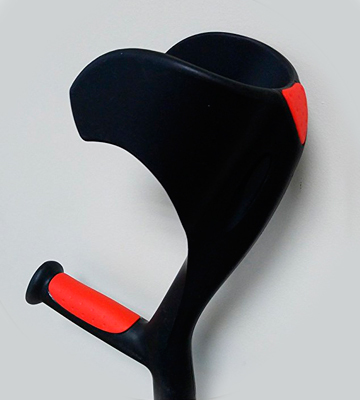 This shape allows you to hang the crutches off your arms when they are not in use. 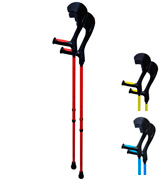 The manufacturer offers the crutches in three bright colours to choose from (red, yellow, and blue). All that makes this model not only stylish and unique but also comfortable and easy to use. The crutches are made of powder-coated adonised aluminium, so they are pretty sturdy and light (half a kilogram each one). Their weight is a big advantage, especially when you have to use them for the whole day. For sure, you won't experience fatigue for a good while. This classic pair of crutches will be excellent for people who are not able to put weight on lower limbs and need to support their underarms as well. 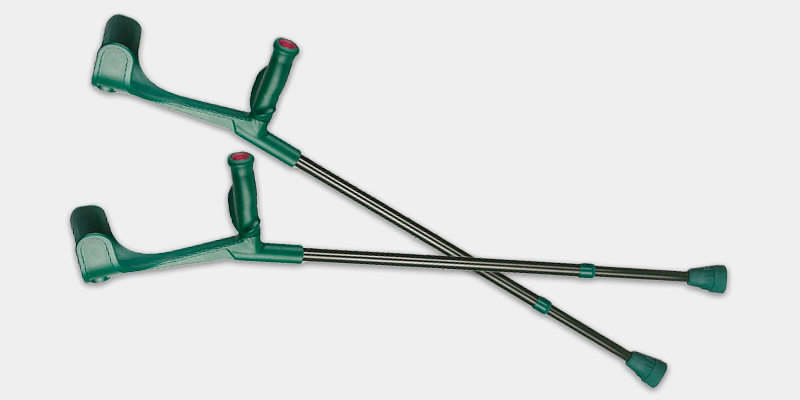 Thanks to a double extruded centre tube, the crutches are extremely sturdy and supportive. They are wonderful for sick and elderly people who have too weak hands to use forearm crutches. 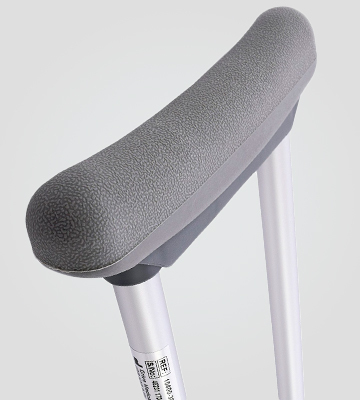 The crutches have non-slip ferrules which provide a greater grip and, as a result, improve stability. 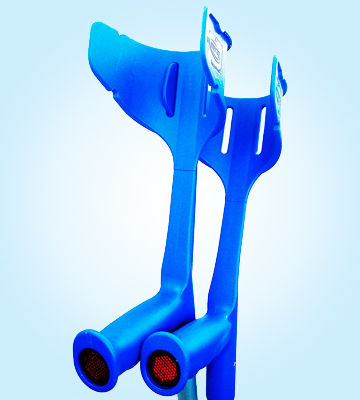 With a user's comfort in mind, the Ability Superstore company designed these underarm crutches easily adjustable. You just need to push a special pin to customize the height in 2.5cm increments. The underarm pads and handgrips of the crutches are absolutely latex-free, which is significant for users with sensitive skin or those who are allergic to latex. The crutches themselves are produced from durable aluminium. Therefore, they are lightweight and require low maintenance. You just need to wipe them with a wet cloth from time to time. Injuries of lower limbs and their postsurgical recovery require relieving stress while walking. That's where crutches come in handy. Crutches are commonly used by people with such injuries as broken bones, pulled muscles, different sprains and strains. People with disabilities can also use crutches for more mobility and walking support. They help relieve weight from a harmed limp by transferring the load to the upper part of a body. Thus, the stress is put on hands and a shoulder girdle so that a patient can take steps independently. 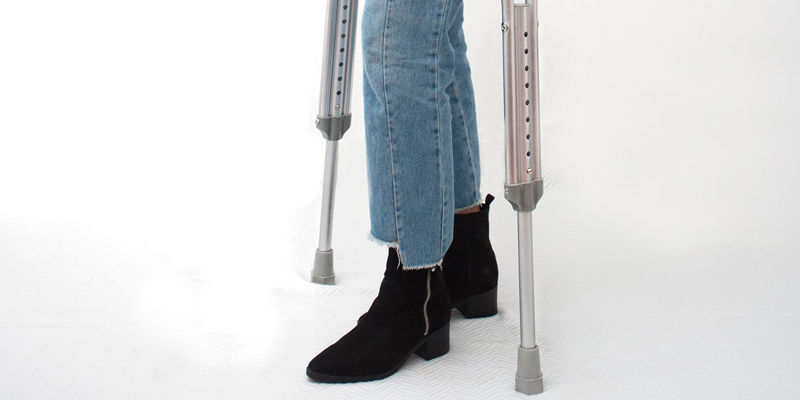 Crutches should be chosen deliberately after a medical advice to provide successful rehabilitation. Mis-chosen crutches might cause damage to muscle and bone tissues and even nerves. Our review will help you select crutches right. 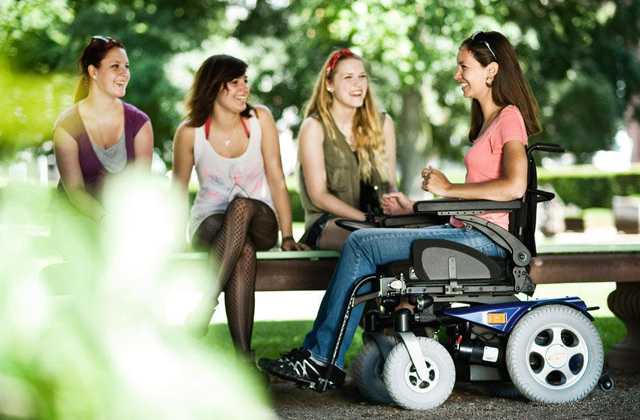 Also, we suggest reading our reviews on wheelchairs and mobility scooters for those who have gait difficulties or can't walk at all. Crutches come in 3 basic types: underarm, forearm, and knee. You should choose crutches according to the severity of an injury and the extent of aid you require. Underarm crutches can remove a load from your damaged limb by loading the upperparts. Underarm crutches require some effort yet are quite easy-to-use. Generally, doctors advise using underarm crutches no longer than 1.5 months. Forearm crutches bear antebrachium and are smaller and lighter than underarm ones, therefore they ensure a high walking mobility. Forearm crutches are designed for long-term use and sometimes they are recommended for people with disabilities. The third type, knee crutches, is not so widespread like underarm or forearm ones, yet knee crutches are much more convenient for below-knee injuries. A knee crutch is cool for leaving your hands free as it’s entirely fixed on an injured leg with straps. Still, knee crutches require some time for getting used to. Height and its adjusting ability are the most important aspects of crutches. Non-height adjustable crutches are now outdated and all contemporary models feature a height adjustment for extra safety and convenience. The more height positions crutches can offer, the more accurately you can fit them. Once you know the height settings, pay attention to the handles as they bear most part of the load and should be convenient enough. Thick handles provide a better grip while rubber paddings prevent palms from slipping and, thus, add to safety. Some crutches’ handles can be adjusted to any person's physique. The use of crutches creates a certain stress for a user and for crutches as well, hence the latter are usually made of metal or wood. So, overweight people should choose crutches designed to withstand a heavy weight. Otherwise, crutches may bend or break apart. Finally, you should pay attention to the tips of the crutches. We recommend you to choose the tips made of rubber with a tapered shape for stability. Replaceable tips are advantageous, as it allows putting spiked tips to prevent skidding during a cold season. 1. How to Choose Crutches, wikiHow. 2. 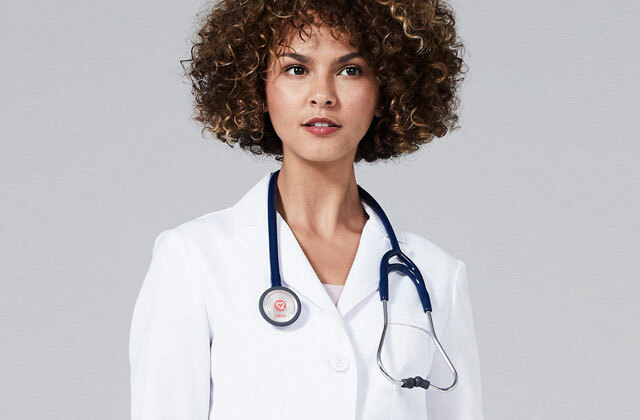 Getting the Proper Fit for Crutches, eMedicineHealth. September 13, 2016. 3. Forearm Crutches, Walking Aids, Crutches, Ergonomic Crutches, Elbow Crutches, RehabMart. 4. Crutch, Wikipedia. December 8, 2016. 5. How to Use Crutches, Canes, and Walkers, OrthoInfo. February 2015. 6. Leigh Ann Morgan Different Types of Crutches, LIVESTRONG. June 27, 2015. 7. Lance Matthews A Complete Guide to Selecting Crutches, Sooper Articles. October 5, 2016. 8. How to Use Crutches, eBay.